I just wanted to say THANK YOU for the delicious cake on Saturday! Our guests loved the cake so much and so did I. The three layers turned out beautifully and they were delicious- we had a lot of our guests asking us where we got the cake. Just wanted to let you know that we all LOVED the cake!! My dad was so excited to see it and everyone at the bowling alley thought it was a hoot! Thank you again so much for all of your help and for making such a great cake on short notice!! How delighted everyone at the shower was with your stunning and delectable bridal shower cake. Victoria suspected it was from you as soon as she saw it! We were able to take some home to share, and others took pieces to their spouses and family. I appreciate that you took the time to craft this cake for her considering your imminent cake show. Marilyn u r marvelous at what u do!! This is prob my fav cake by far n that banana n choc flav combo was to die for!! Your talents r just limitless! Thank u so very much for making this adorable n delicious masterpiece for our bday boy!! It was whale-ley fun!! I just wanted to take a few minutes to thank you for the exceptional job you did. The cake was amazing! It was the talk of the shower. I simply loved the little blocks, they were so adorable. Whenever I have another event, I intend to call you. I have also recommended you to a few friends. I just wanted to thank you for doing an amazing job on the karaoke cake that you made for my father's birthday. It was the feature item of the night; everyone kept taking pictures throughout the party! My parents were so surprised and it took my father a while to grasp the concept that the entire cake was edible. All of the guests were amazed at the work that you did. The cake tasted just as fabulous as it looked! Everyone remarked that it was the best red velvet cake that they have tasted. I wanted to let you know once again what a phenomenal job you did on the cake. The car was perfection and the added banner was a bonus touch that really made the cake work for our contest. I could not have been more impressed with what you did. One more thing, you were right, the cake tasted as great as it looked, it too was raved about as much as how awesome the cake looked. It was truly a shame we had to cut into it, no one wanted to be the one to cut it. Great job, and I’m already handing out your card like cash! The Tiffany Box birthday cake you designed was amazing! Everyone loved it! Not only was it beautifully designed, but it was absolutely delicious. The cake design and taste were beyond any expectations that I had. I will be sure to recommend you to all my friends. Thank you! I just wanted to thank you again for the cake that you made for my son's birthday! I looked high and low to find a Super Mario Brothers cake and I am soooo thankful that we found you! You did an outstanding job! 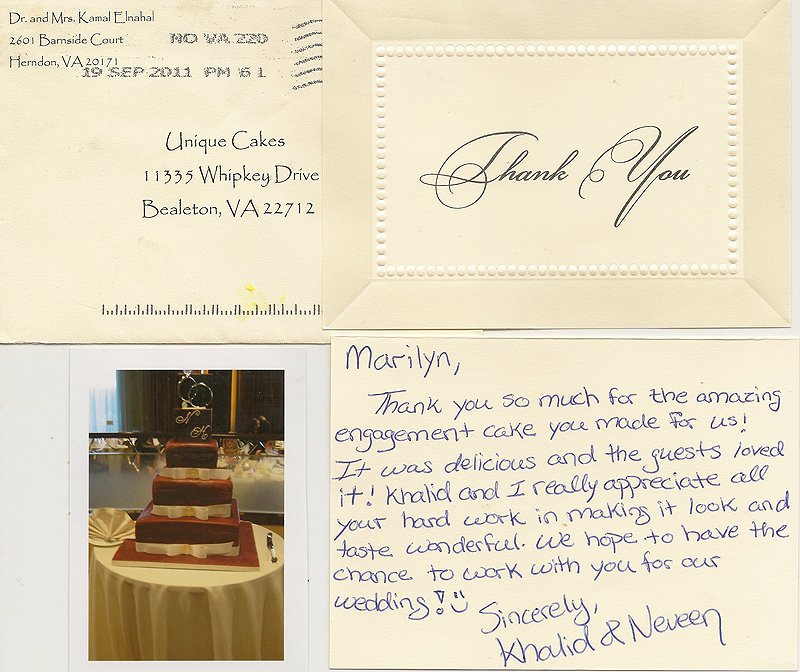 Everyone loved everything about the cake from the beautiful design to the fabulous taste!! We would recommend you to anyone!!!!! Just wanted to thank you for the cake. It was awesome and very delicious. Everyone loved it. Many people asked for your information so I gave them the card your husband left with me. I still have some cake left and can’t wait to get home today to have some lol. A natural-born artist, Marilyn thrives on combining her sculpture and painting skills with her baking talents to create an art form that others can enjoy as much as she can. She brings the latest cake artistry skills to Unique Cakes, and continues to study innovative cake design techniques under nationally-renowned cake masters. As the Owner and Creative Director of Unique Cakes, she focuses on the unusual in wedding cakes, three dimensional sculpted cakes and blown and pulled sugar amenities. 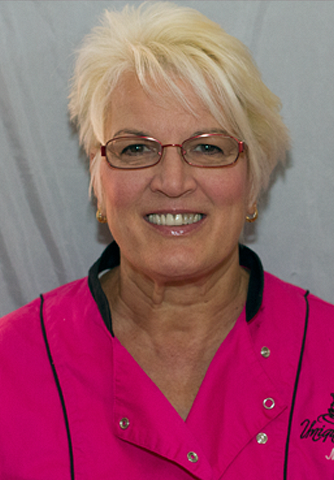 Marilyn has been featured in national cake decorating publications and has had the honor of applying her talents in sugar art and three-dimensional sculpted cakes for high profile cake commissions, where guests of honor have included circuit court judges and Gov. Sarah Palin.